Sephora is offering beauty fans an instant skincare fix, with the launch of a new in-store facial. The beauty retailer has teamed up with The HydraFacial Company to offer clients "Perk Hydrating Facials" in more than 100 of its stores across the US. The 30-minute skincare treatment (which is complimentary with a $75 minimum product purchase) aims to exfoliate, hydrate and nourish the complexion by using a special device that uses roller-flex technology that acts as a vacuum to suction impurities from the skin, while simultaneously flushing it with nutrients and hydration. The service will be carried out by specially trained Sephora advisors, who will provide customers with a skincare consultation and a personalized "Digital Skincare Guide" covering different products and application methods. "The Sephora Perk Hydrating Facial is our first in-store spa grade treatment, powered by our own talented consultants who celebrate beauty each day with our clients," said Priya Venkatesh, Vice President of Merchandising for Sephora, in a statement. "By introducing our clients to the right products, based on their own unique skincare concerns and enhanced with a personalized service, we're able to create an emotional connection, build their trust and celebrate the results with them in one comprehensive offering." 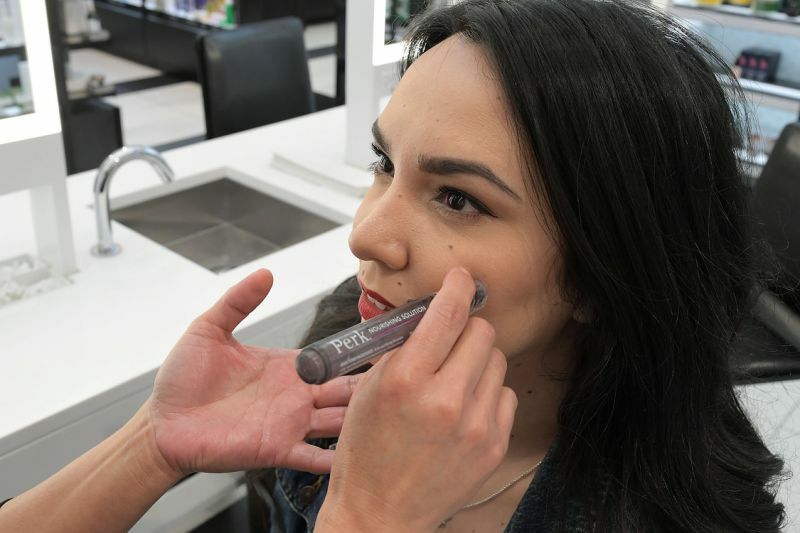 The move is Sephora's latest interactive beauty initiative -- the retailer already provides a 15-minute "Mini Makeover and Facial" service in-store, as well as custom makeovers and beauty classes in a select number of outlets. Immersive beauty experiences are becoming a major trend across the industry, with brands increasingly seeking innovative ways to engage with consumers. Last year saw French beauty giant L'Occitane en Provence unveil a new multi-sensory digital in-store concept featuring rain shower sinks and ‘fragrance clouds,' while Tom Ford's inaugural stand-alone London beauty store, which opened its doors in November, features several creative initiatives, such as a dramming bar for customized fragrance services and a dedicated ‘Color room' where shoppers can virtually try on makeup using augmented reality technology.